Blue Styrofoam Blocks and Sheets - Foam for crafts and hobbies! 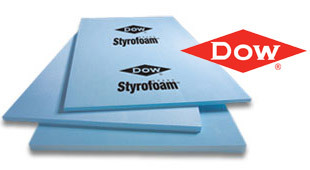 Our goal is to supply you with high quality, cleanly cut Blue Foam at a reasonable price. Hopefully you will find the size you need for your project in our shop. If you can’t, please get in touch and we will do our best to help. We offer a range of postal options and charge based on basket weight and volume. This allows you to order multiple items and only pay one postage charge. The products we sell are cut to a very high standard. We are confident that you will be happy with your Blue Foam. If you are not we will happily accept returns with no questions asked. The buyer is responsible for the cost of return postage. We hope you enjoy our site! If you have any questions please feel free to get in touch via e-mail or the contact form on the ‘FAQ’ or ‘Contact Us’ page.